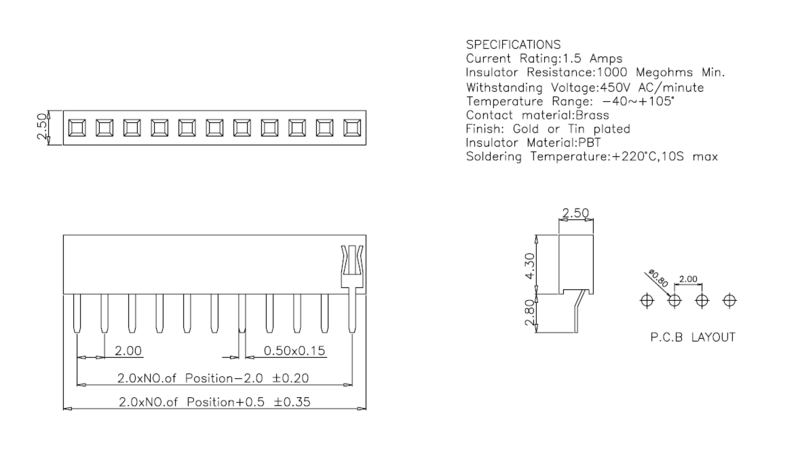 2.0mm (.079”) inch straight (female) header connectors is PCB headers for board to board connectors connection. 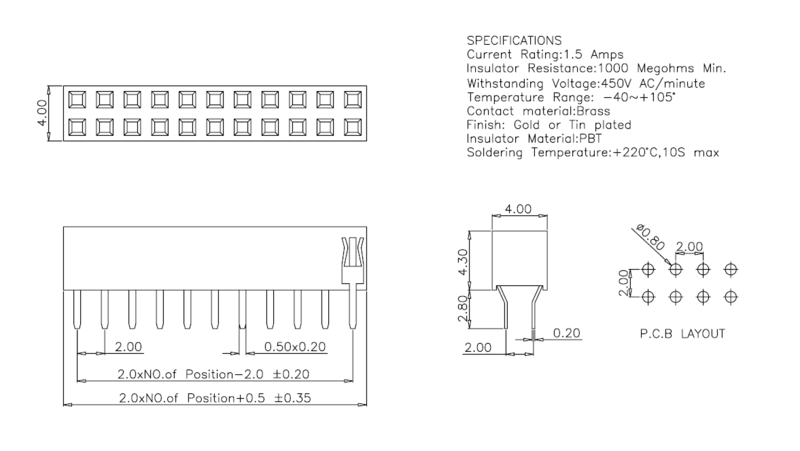 Generally as a Receptacle for insert the contact of pin header used in smaller electrical device.This product include: single and dual row in Vertical (DIP) version, three and four row can also be made according to customer’s request. 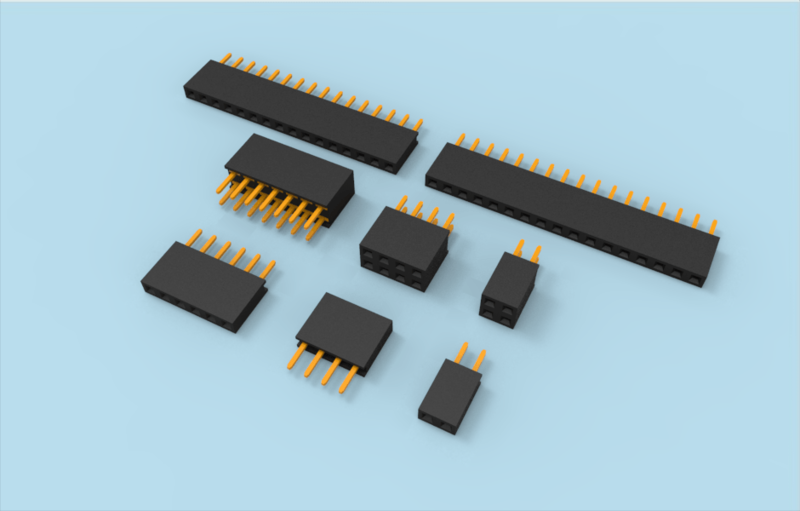 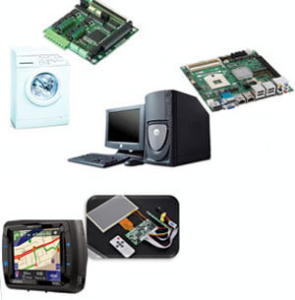 You can choose the orientation like DIP Right-angle and Horizontal (SMT surface mount) to approach the function you want according to the PCB board design while mated with different types of Pin header connectors.